You’ve been in an accident and suffered a serious injury. All you want is to obtain compensation so you can recover and move on with your life. 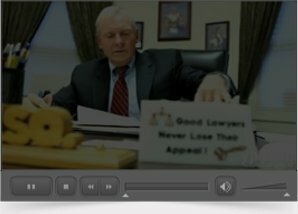 Do you really need a car accident lawyer? Free consultation: Many car accident and personal injury lawyers offer free initial consultations. This means that you can visit a lawyer and have him or her assess the strength of your case at no cost. Work on a contingency fee basis: In addition to offering free initial consultations, personal injury lawyers typically operate on contingency fee basis — meaning you pay them nothing unless you receive a settlement. Thus, you have nothing to lose by retaining a car accident attorney. Gather evidence: If you’ve been seriously injured, you are in no condition to gather evidence, speak to witnesses and formulate a solid case against the defendant. Your lawyer, on the other hand, does this on a regular basis and knows what to look for to build your case. Explain the law to you: Understanding the law can be difficult. A knowledgeable lawyer can explain to you that New Jersey follows a comparative fault rule. Under this law, a plaintiff may still recover some damages even if he or she is partially at fault for the accident. Handle insurance companies: The insurance company is not your friend. They will likely offer you a low-ball settlement to close your case as quickly as possible. An attorney knows how to handle insurance companies so that injury victims receive maximum compensation. To email the firm, please fill out the contact form below. Law Offices of Robert Olkowitz, P.C. Law Offices of Robert A. Olkowitz is located in Red Bank, New Jersey and serves clients in and around Red Bank, Fair Haven, Long Branch, Shrewsbury, Lincroft, Cliffwood, Rumson, Atlantic Highlands, Fort Monmouth, Leonardo, Navesink, Eatontown, Marlboro, Oceanport, Belford, Highlands, Middletown, Port Monmouth, Holmdel, Little Silver, West Long Branch, Ocean Grove, Colts Neck, Keansburg and Monmouth County. Food Contamination: Who Is Minding Our Food Providers?